This Saturday, July 28, I’ll be at the Lenoir County Farmers’ Market in Kinston. I should be there between 9:00am and 12 Noon. Come on by and say hi. There will be some new items offered tomorrow, and this will be my first summer sale. 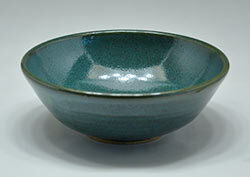 We’re now using the Square credit card service, which allows you to buy your pottery using the usual major credit cards. Pottery is also happily exchanged for cash as well.